Jolene Bird is an accomplished artist who learned her craft from her grandfather over 20 years ago. 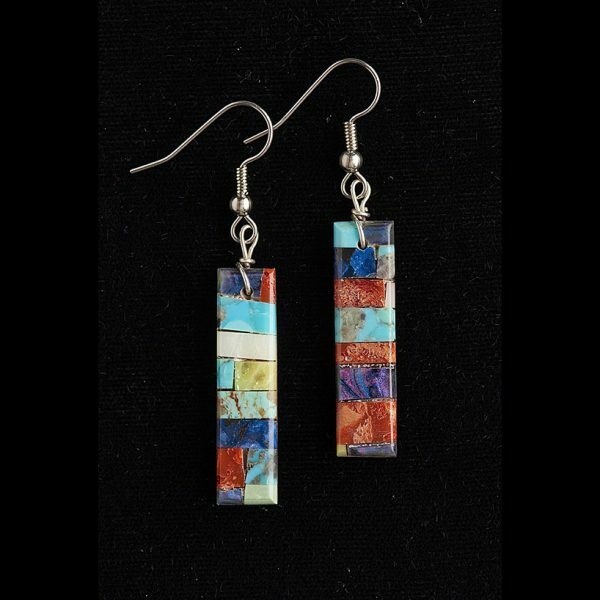 Jolene makes her jewelry in the tradition of the Santo Domingo Pueblo in New Mexico. After studying at the prestigious Poeh Institute in Santa Fe, Jolene has continued to refine her craft by selecting only the finest raw materials and then cutting, carving and shaping each separate element to create her highly refined jewelry. 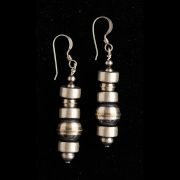 Working with natural materials, Jolene makes her own beads from stone and shells, sizing each piece as she makes her jewelry. 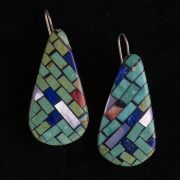 She is particularly accomplished in inlaid mosaic pieces. Finishing many of her works with hundreds of heishi beads, Jolene cuts every bead – each a different size and dimension, while at the same time relating to the adjacent beads – resulting in some of the finest traditionally designed necklaces and bracelets found in contemporary Native American jewelry.